I love fall. The changing leaves. The cooling weather. The holiday festivities with family and friends. And the fall fruits and vegetables, especially pumpkins. 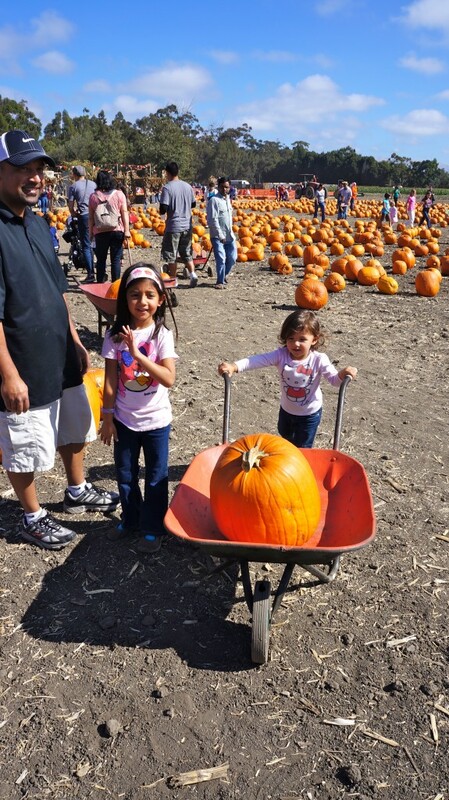 Pumpkins remind me of the traditions surrounding the holiday season, and they are the beginning of a busy couple of months when we enjoy food, family, and many American cultural celebrations. 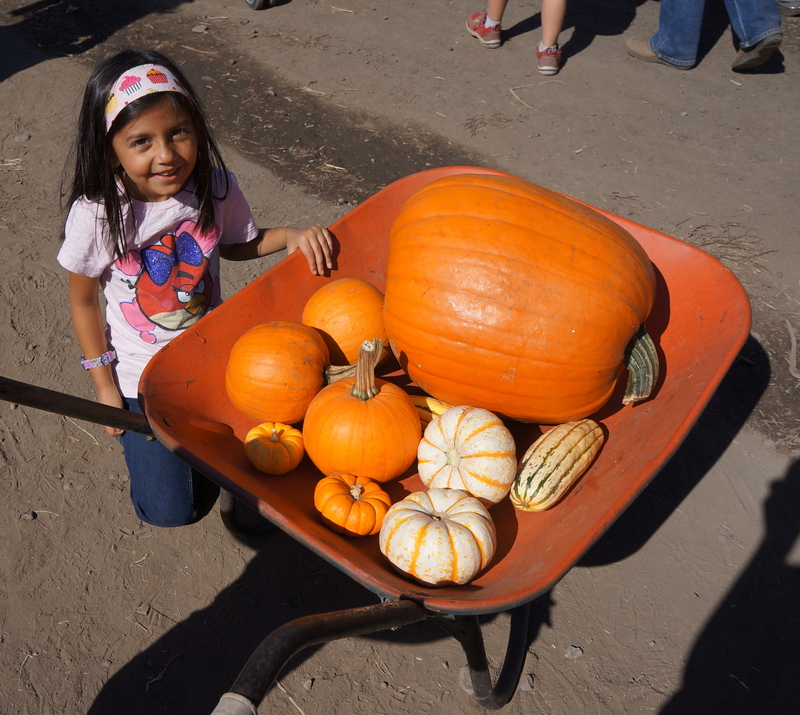 Growing up in a small California town, there was a great pumpkin patch with a spooky witch’s lair, a teepee, and lots of gourds and pumpkins. I looked forward to going each year, walking among the rows of pumpkins, and picking the orange beauty that my dad, and later I, would carve into a smiling, goofy, or menacing jack-o-lantern. When I graduated from high school and moved away, I put my pumpkin-carving activities on hold–it wasn’t much fun on my own. But when I got married, I insisted on getting a pumpkin, even though B had never carved one before. I remember thinking that it was strange that he had never carved a pumpkin, but it was not part of his cultural tradition, and not something that was important to him. Even now, I am much more excited about going the the pumpkin patch with the kids than he is, but I know he enjoys their enthusiasm for this seasonal pastime. And I am the one who carves the pumpkins (and I love it!). 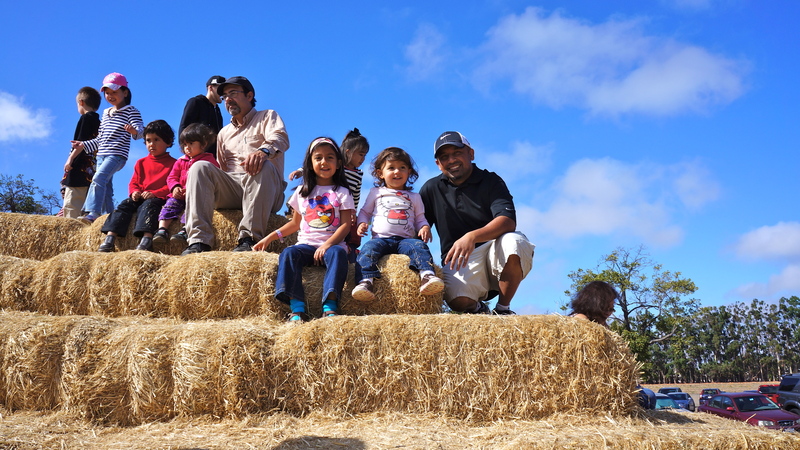 Part of our fall tradition is going to Perry Farms Pumpkin Patch to climb the hay pyramid, walk through the hay maze, take lots of pictures, and of course, pick our Halloween carving pumpkin. We like supporting the one working farm in our area, and the memories we are creating each year are so valuable to me (and I hope they will be to my kids as well). 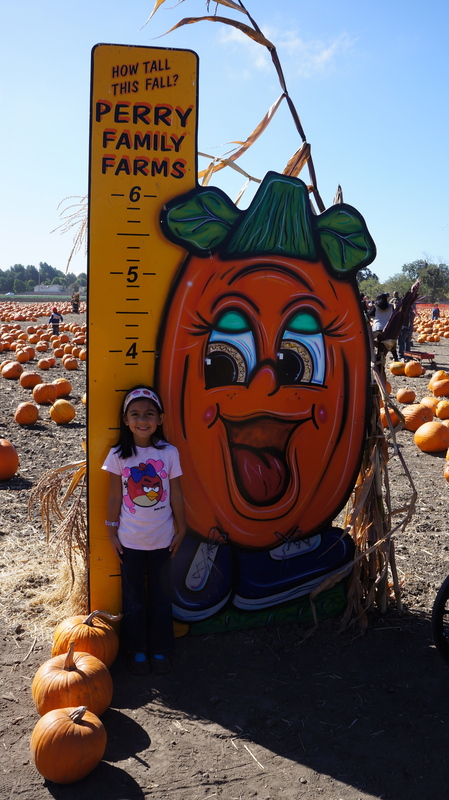 Pumpkin patches are such joyful places: we get dirty, pick up or roll pumpkins, take pictures and videos, and then pick a pumpkin that will become part of our annual Halloween celebration. 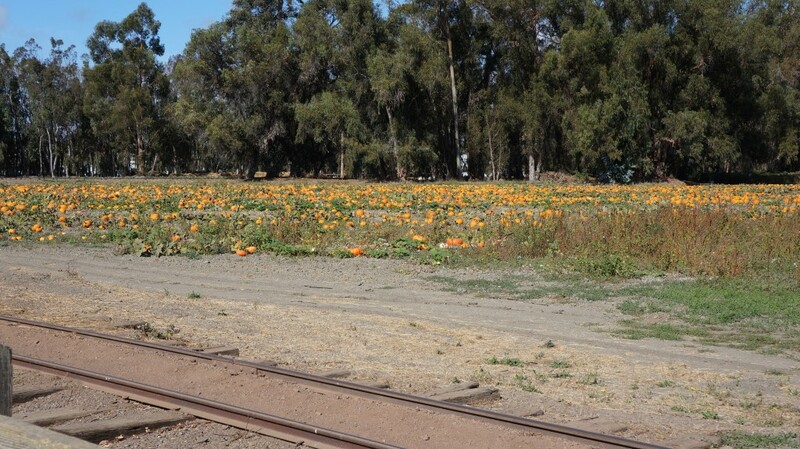 I hope my kids will remember Perry’s with the same nostalgia that I have for my childhood pumpkin patch. 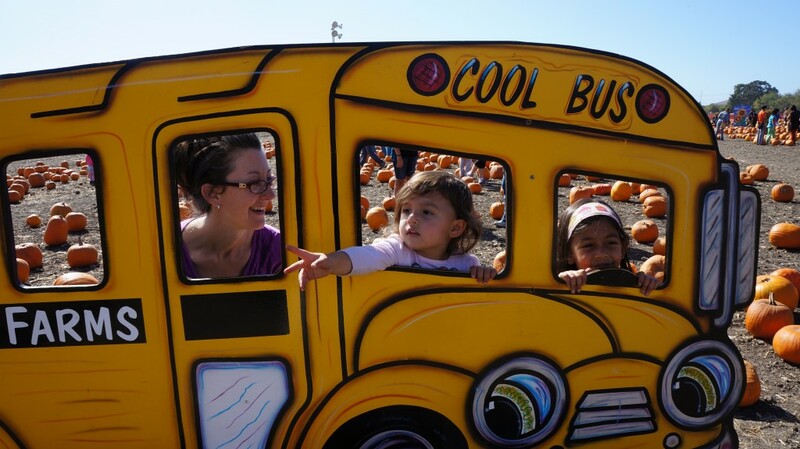 On the “cool bus”. Oh yeah! Perry’s also grows lots of other types of pumpkins and squashes, and one year I bought seven different types of pumpkin from them. Sounds a bit crazy, right? But most of them I had never tried and I was just starting to make pumpkin pies from scratch. Perry Farms provided me with a great opportunity to try something new! Varieties I bought that year included Blue Hubbard, Hokaiddo, Sugar Pie, Kabocha, Cinderella, and a Baby Boo, plus some other winter squashes. And they were all delicious! I also bought a carving pumpkin that year. This year, I tempered my desire to buy all the varieties that were available (probably 7 or 8) and I only bought three, plus some Delicatas (which I love!). 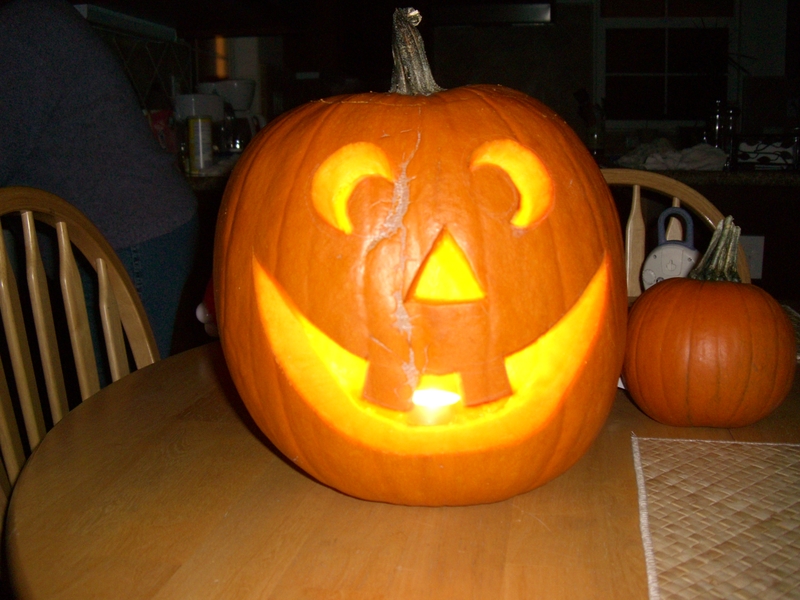 The girls also each got a “munchkin”–an inedible, decorative pumpkin that is fun to draw faces on and play with. And if I’d written this blog post a week ago, I would have also had an acorn squash and a Kabocha! Thirteen pumpkins/squashes?! Why so many, you ask? Well, they are tasty! They are good for you! Rich in beta carotene, vitamin C, and fiber, as well as many other vitamins and minerals, they provide a nutrient-dense source of carbohydrates that is especially good for athletes and growing kids. And since they are a seasonal food that is only available this time of year, I like to stock up while I can. Winter squashes can last for several months if kept dry and cool. Plus, it is super easy to roast them up, smash or puree, then freeze for later use (see this tutorial for roasting instructions and adjust cooking time depending on the size of your squash). Luckily, A loves squash, H will eat it in pancakes or quickbreads, and B will eat whatever I make for dinner (but probably not the leftovers), so my mountain of pumpkins won’t last too long. And I won’t have to eat them all myself. Carve one! And roast the pumpkin seeds. Pumpkin pie! Fresh roasted pumpkin always tastes better than canned. Pumpkin pancakes–I especially like this grain-free recipe from Balanced Bites (but use fresh pumpkin, not canned!). Pumpkin bread/muffins–I like this grain-free version from Elana’s Pantry. And this one from PaleOMG is fantastic, too! Smoothies–roast or steam first, then add 1/2 cup with some berries or banana, coconut milk or yogurt, whatever you like! So get yourself to a farmers’ market, pumpkin patch, or grocery store and buy some pumpkins! There are so many ways to enjoy them, the best of which always include seasonal traditions shared with family and friends. Happy pumpkin eating! The girls look great! We just had our trip to the patch. Homemade pie tonight, and a freezer full of pumpkin to enjoy for awhile. Do you have a favorite soup recipe? I have never had one as good as a friend’s French version, but on the hunt again this year. Thanks, Amy! I don’t have a favorite soup recipe–I’m just starting to make soups since I’m really the only one who eats them. 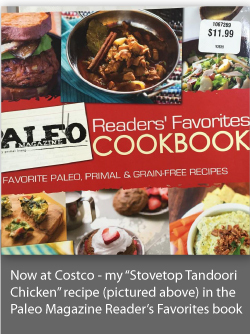 If you find one you like, I’d love the recipe!